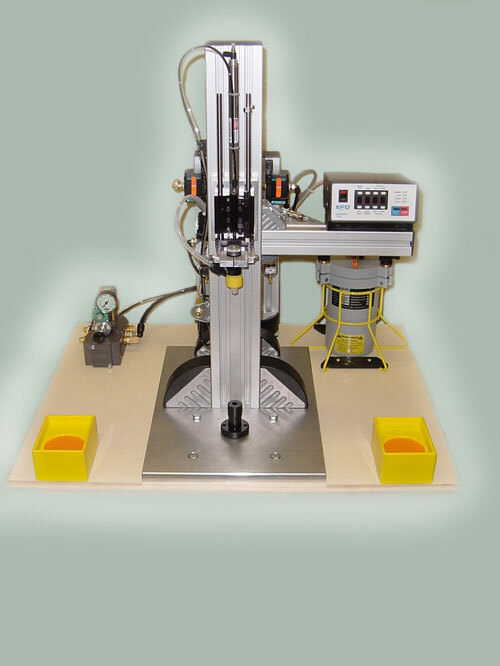 J-Tech custom dispensing systems offer repeatability, efficiency and quality to production dispensing operations. 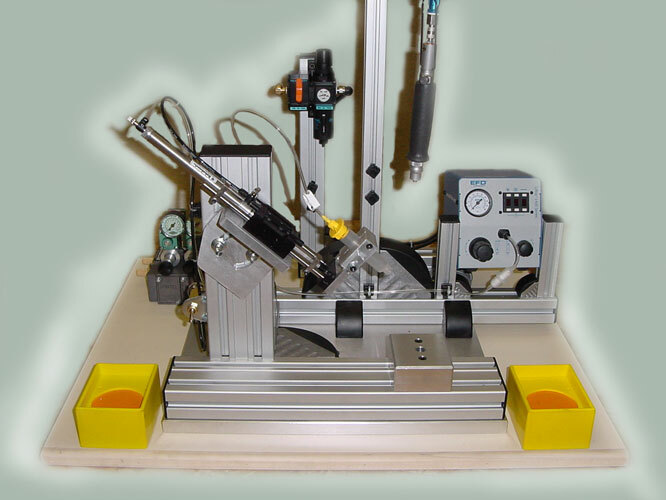 Incorporating custom fixturing and quality devices, these systems may cover single station / single component applications, or may combine dispensing with fastening or other operations. 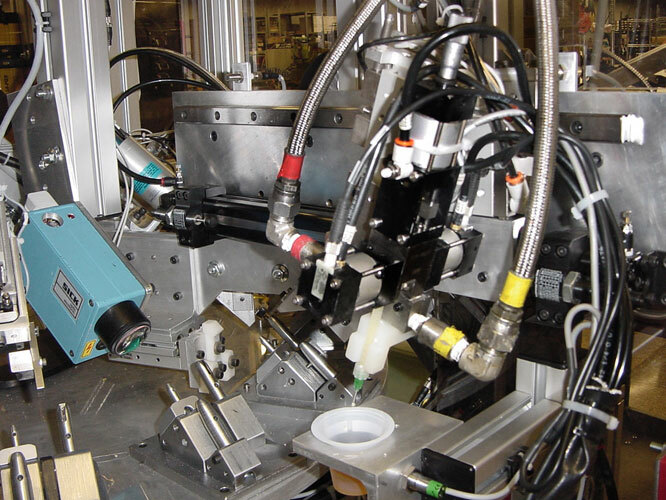 Applications may also be integrated into higher level automation systems. 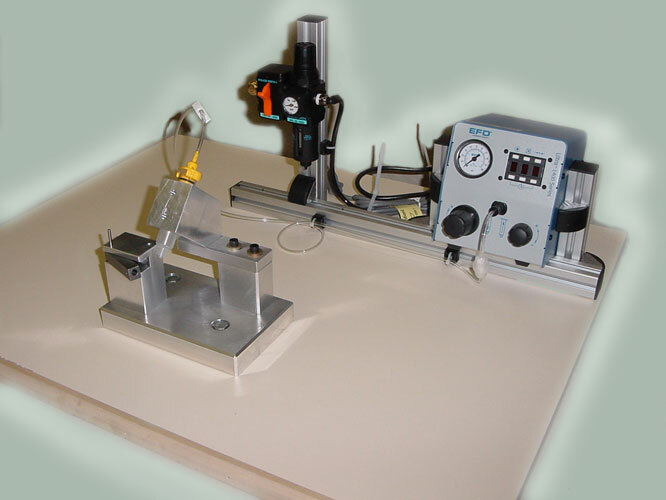 Cyanoacrylates, anaerobics, UV curing, two part epoxies and thread locking are among mediums utilized.